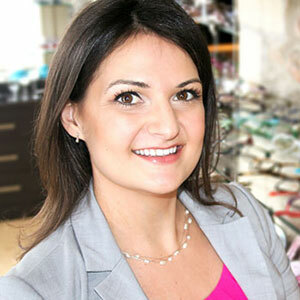 There’s something unique about what Dr. Corina Buettner brings to Nuvo as both Owner and Optometrist. Be it refractive or medical care, Dr. Buettner is always happy to take on new challenges and invest in her patient’s well-being. As a Nuvo leader, her investments in our Vision have cultivated an ever-growing, positive reputation amongst the Ottawa community, and she sets herself apart by being one of the only eye doctors to provide Orthokeratology services in the Ottawa Region. Dr. Buettner makes each patient feel comfortable during their visit and has a knack for explaining any detail about your eyes with ease and clarity. • Following graduation, Dr, Buettner worked at a fast paced downtown Chicago practice, a veterans hospital in New York, and ophthalmology centres in Florida, where she gained much experience with various specialties such as cataracts, glaucoma, retinal conditions, strabismus and oculoplastics. Dr. Buettner’s professional interests include custom contact lens care (Orthokeratology), pre and post operative care for both refractive and cataract surgery, and complete regular vision care. Dr. Buettner was born and raised in Saskatchewan, and has travelled and lived in various countries including the U.S. and Italy!